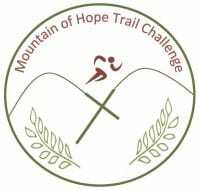 The Mountain of Hope Trail Challenge is back!! This event was started in 2014 and was set up to provide funds for sharing hope ministries an organization that helps out in disaster relief areas. After skipping the last 2 years it is under new leadership and we hope to make this an annual event. This race is run on private ground and we will be using the same trails that were used 2 years ago. For all you who have never run this race please come prepared for a challenge. The event will be held at the Amish school house located along Beagle Rd. The half marathon starts with about a mile of gradual uphill on a gravel lane. It will then be run on old logging roads and single track trails that are very steep and rocky in some places. After running about 5 miles of uphill you will run across a boulder field and then come to the top of the mountain. You will then run about 3 miles along the top which will give several scenic views of the farmlands of East Nittany Valley before winding back down to the finish line. There will be a water stop at approx. mile 3, an aid station at mile 5, another aid station at mile 8, and one more water stop at mile 11. There is a 5 hour cutoff at the second aid station which still gives you about 8 hours to do the whole course so this makes it very hiker friendly. The 5k will run on some of the same trails as the half. It will have about 1 mile of uphill before circling back to the finish line. It will have 1 water stop at the halfway mark.